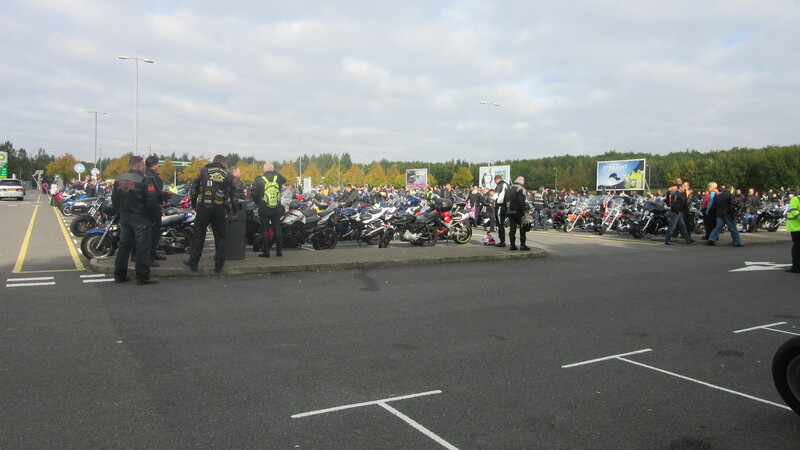 On Saturday the 3rd of October Nottingham Branch members Dave Ross, and Mark Holding paid their respects on behalf of Nottingham Branch members during the 2015 "Ride To The Wall" event, attended by approximately 20,000 motor bike riders at this years event. 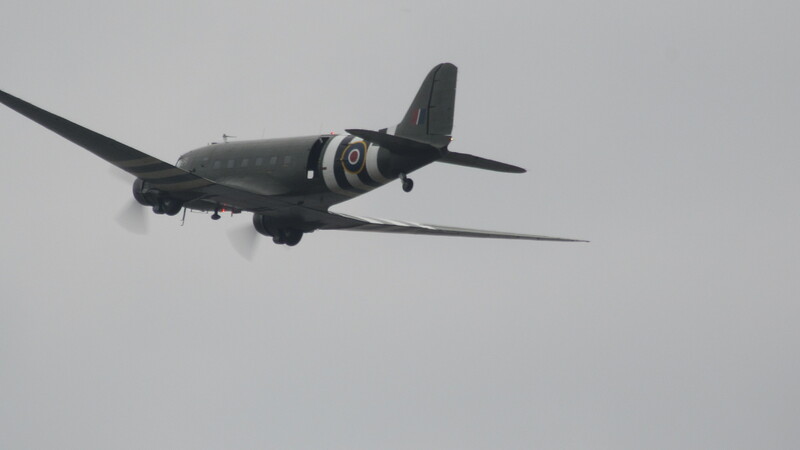 The event is held to raise money for the upkeep of the National Memorial Arboretum near Alrewas in Staffordshire, ane is now in its eigth year. 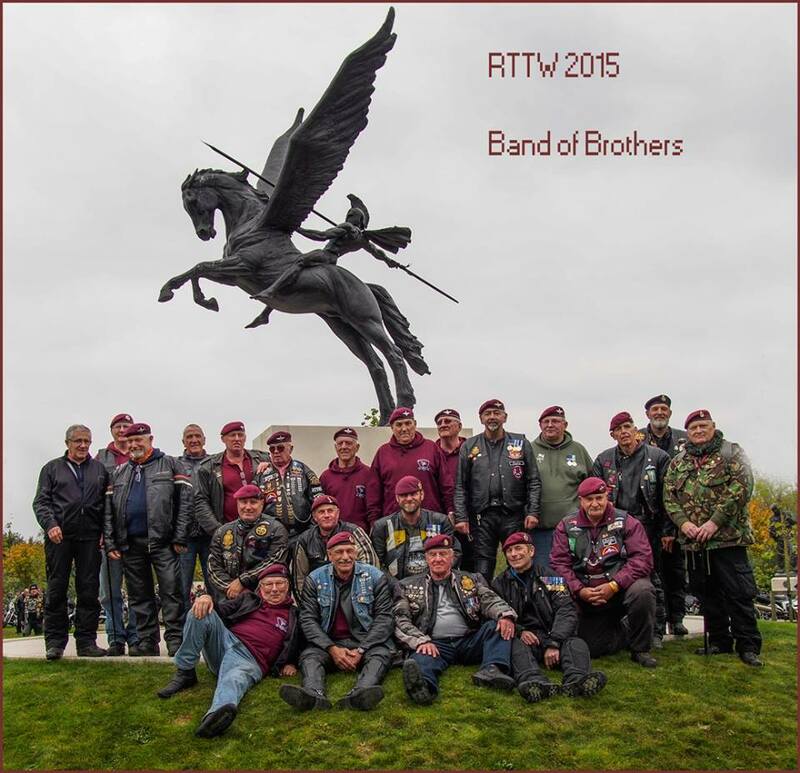 To date almost £400,000 has been raised. 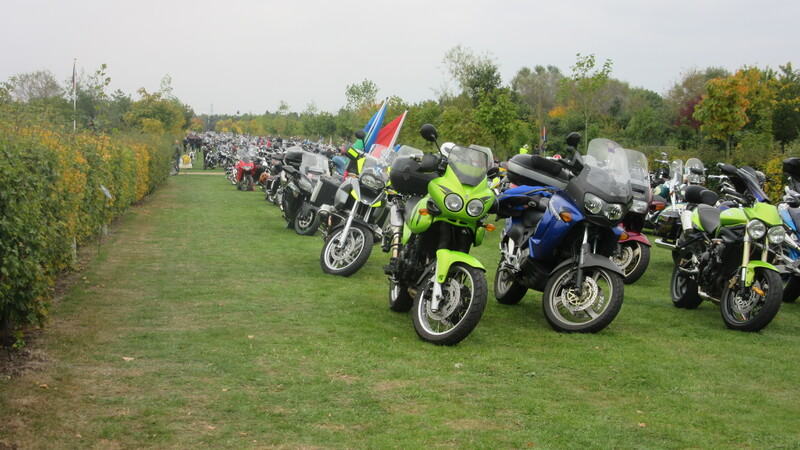 Motorcyclists came from all parts of the United Kingdom and included other parts of the World such as the Middle East and Canada. 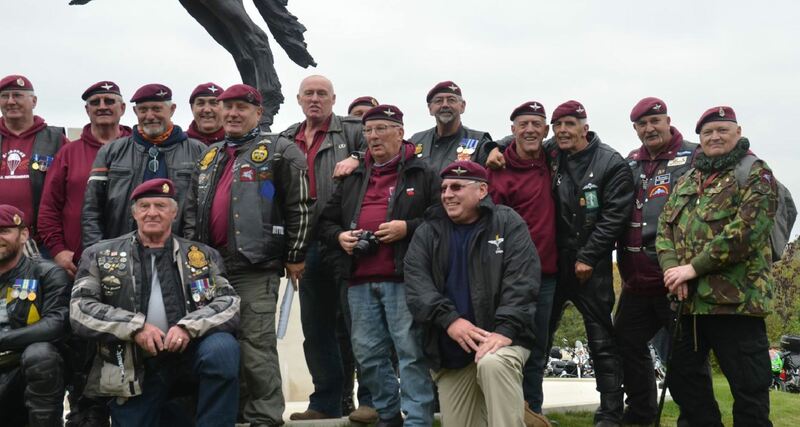 The United kingdom riders RV'd at around 12 different locations, before converging on the Arboretum. 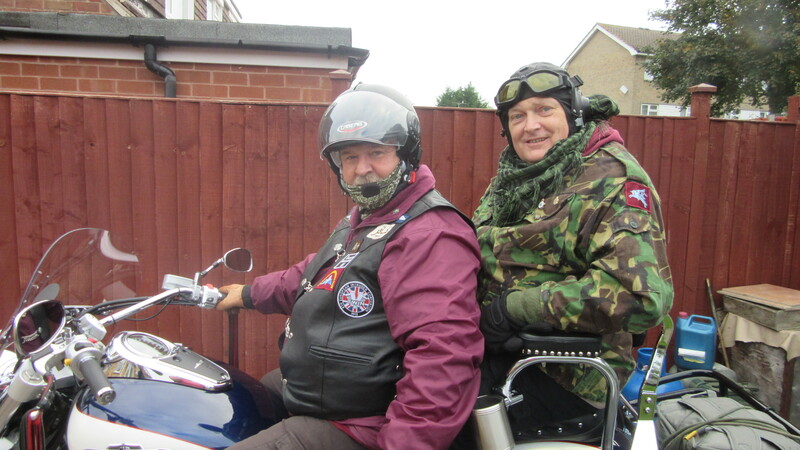 Dave and Mark's RV location was the "East Midlands Services of the M1" which is not far from East Midlands Airport. 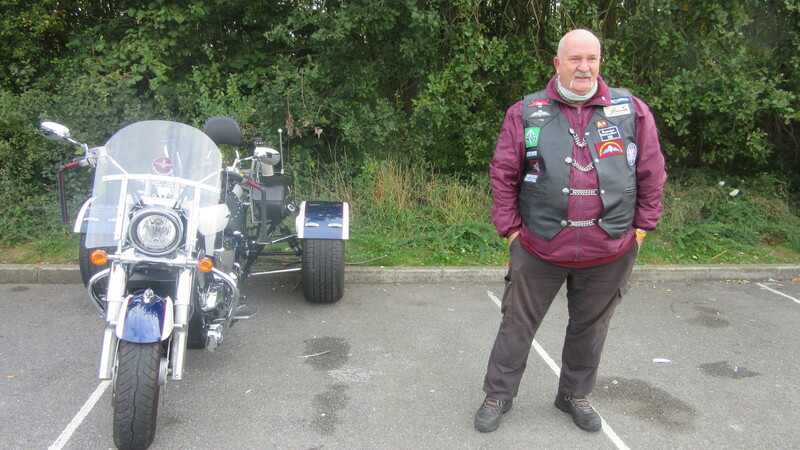 Dave had built his own trike over the year, and apart from a trip to Wales with his partner Sue, during the Summer, this event was one that Dave had been looking forward too. 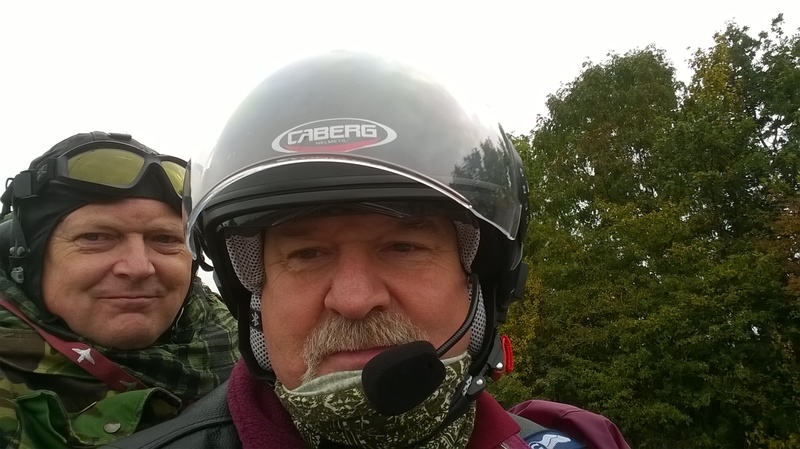 He had invited the Treasure, Mark Holding along for the ride, and Mark was happy to except. 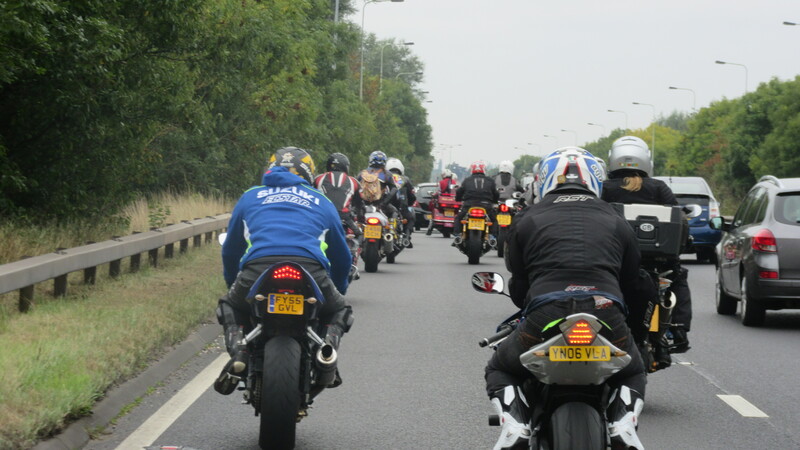 When they reached the East Midlands services they were part of a large group of over 1000 other riders, and at 10:30 am they all made their way onto the A50, then the A38, arriving at the Arboretum approximately 30 or 40 minutes later. 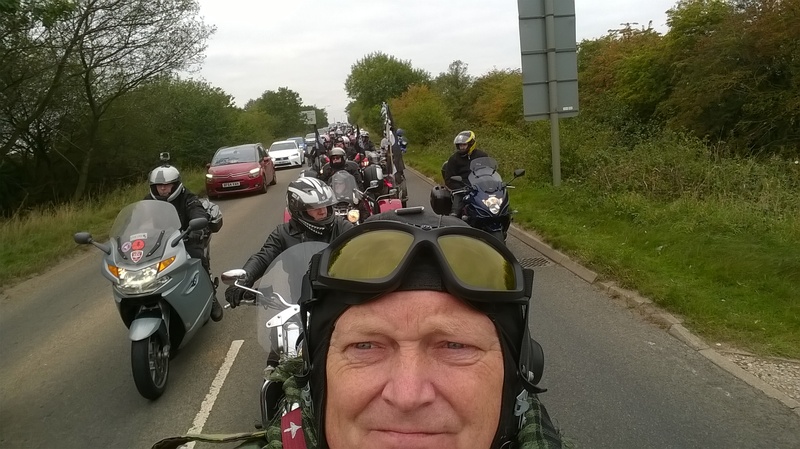 Along the route at bridge overpasses and farm yard gates onto the A38, members of the public showed their support by waving flags and took photos of the astonishing site of miles of bikers heading for the National Memorial Arboretum. 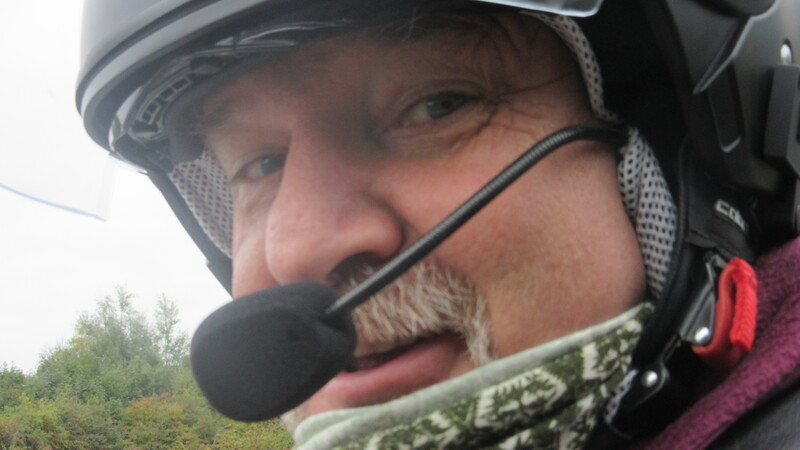 The closer the riders got, the more bikers joined the group from the different RV sites. 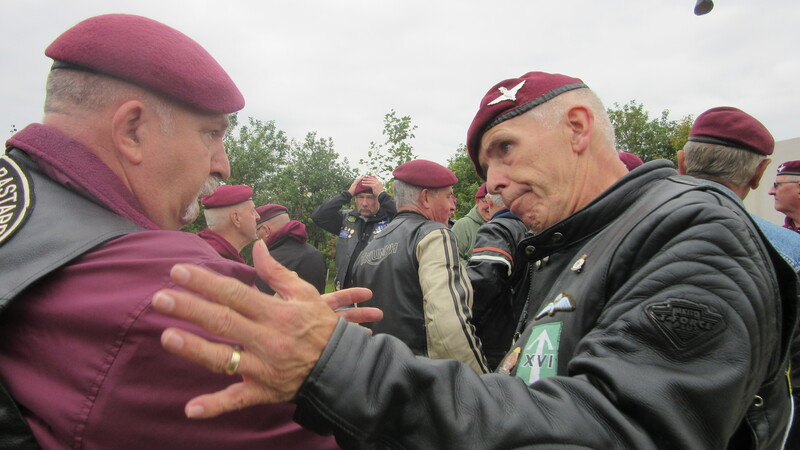 The days events included a display by the Royal Signals White Helmet display team and vocalist from the Soldier of the serving trio of vocalists, now well known in the UK. 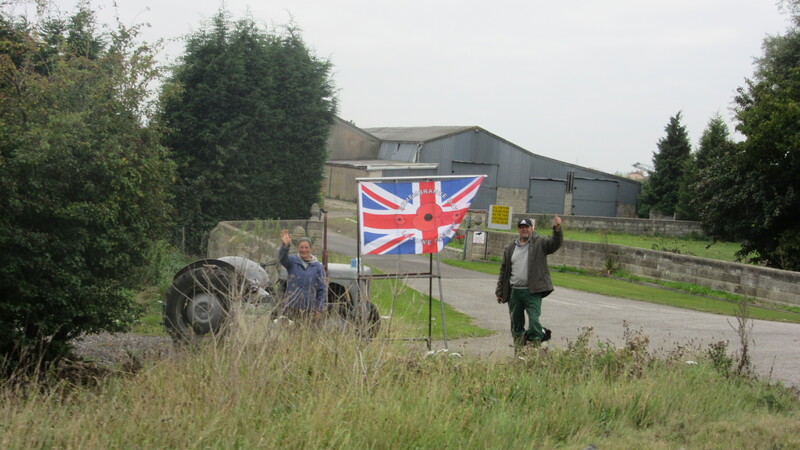 This was followed by a memorial service and last post. A biplane flew over and dropped thousands of poppies, and this was followed later in the afternoon by the Dakota memorial fight who made three fly passes. 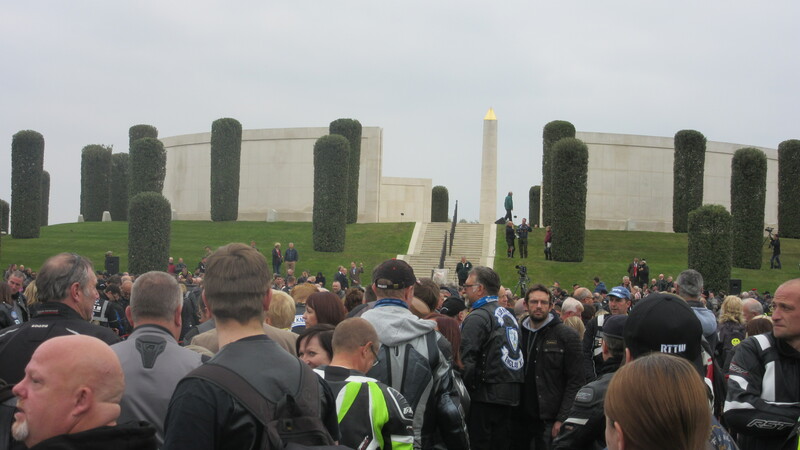 This is probably the busiest day during the calendar of the National Memorial Arboretum. After the service people visited the rest of the Arboretum. 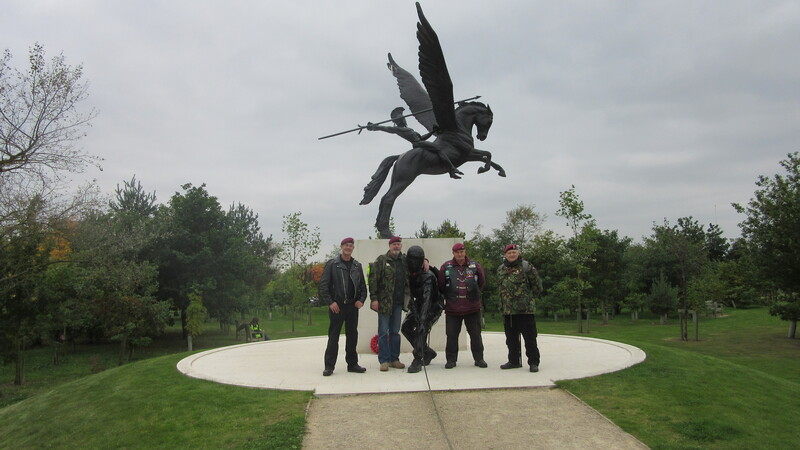 Dave and Mark headed to the Airborne Forces Memorial where they met up with two former members of 4 PARA, who are now part of Manchester PRA. 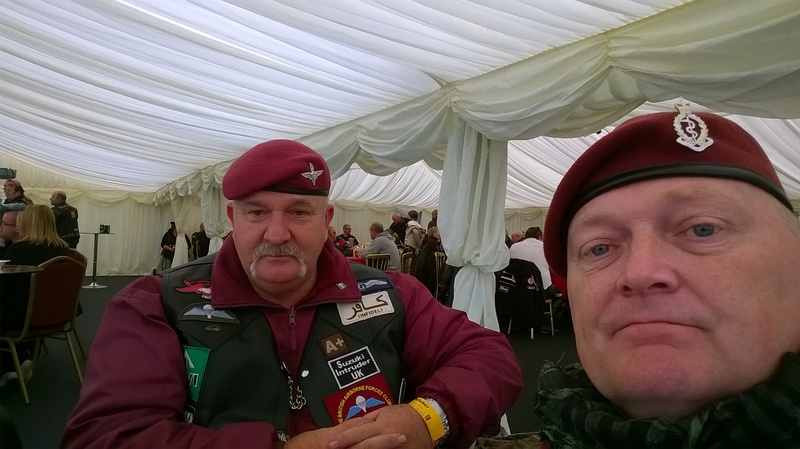 They talked about their time with 16 Company and 16 Detachment and those who had served and still serve in 4 PARA. After this they had some photos taken. together before heading back towards the car park. 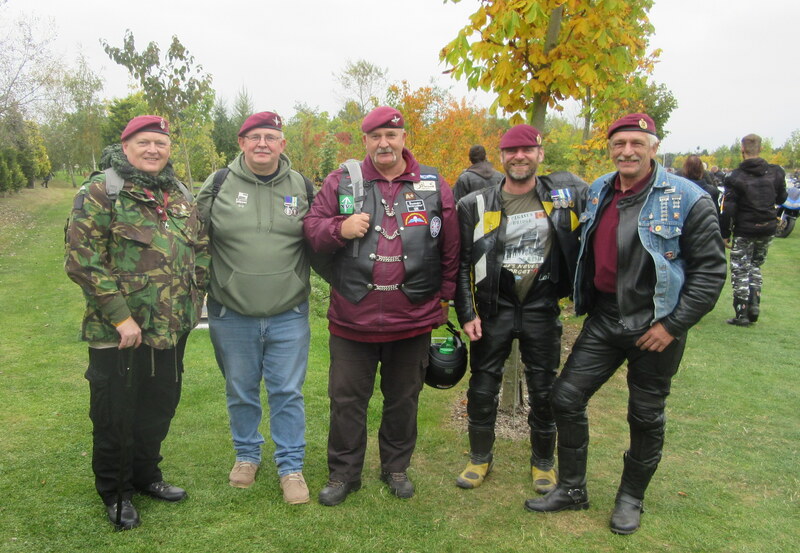 After going about 200 yards they bumped into Ron Webster and three other members of the Grimsby and Cleethorpes Branch of the PRA and had another group photo taken. 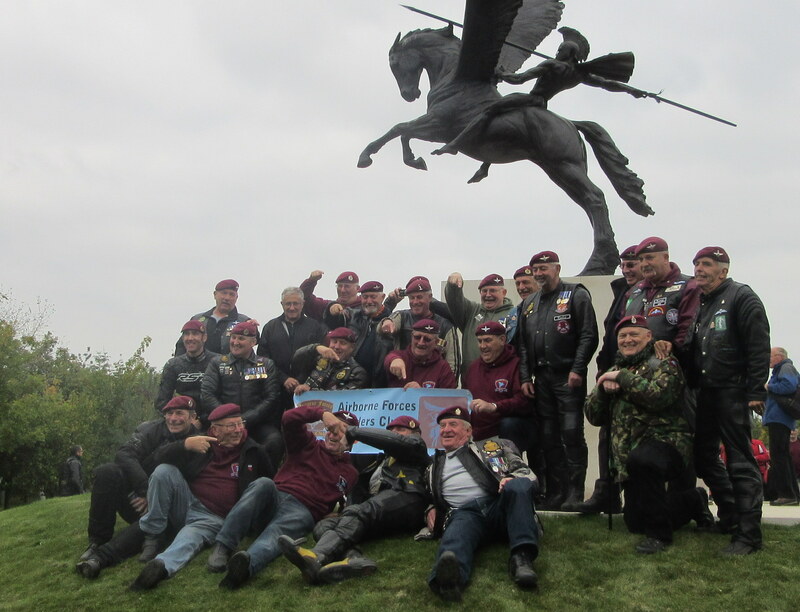 After our greetings and photos, Ron informed us that the Airborne Forces Riders Club were heading to the Airborne Memorial and that we should go back with them, which we did. 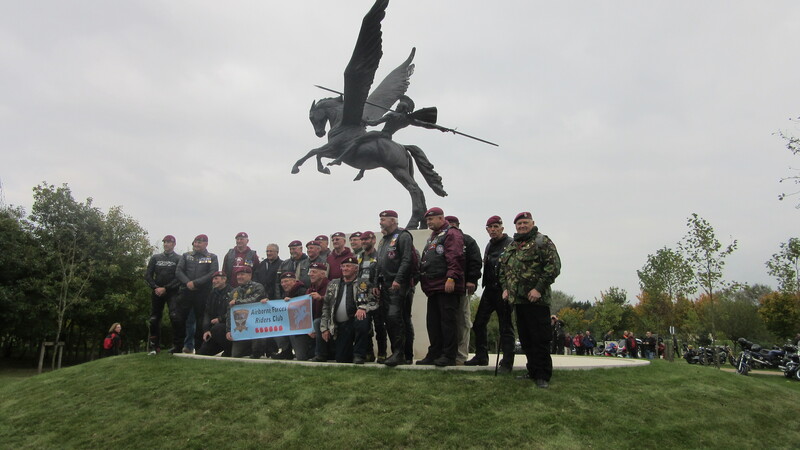 As we arrived back at the memorial we were greeted by around 25 other members of the Airborne Forces Riders Club and after more greetings all had group photos. 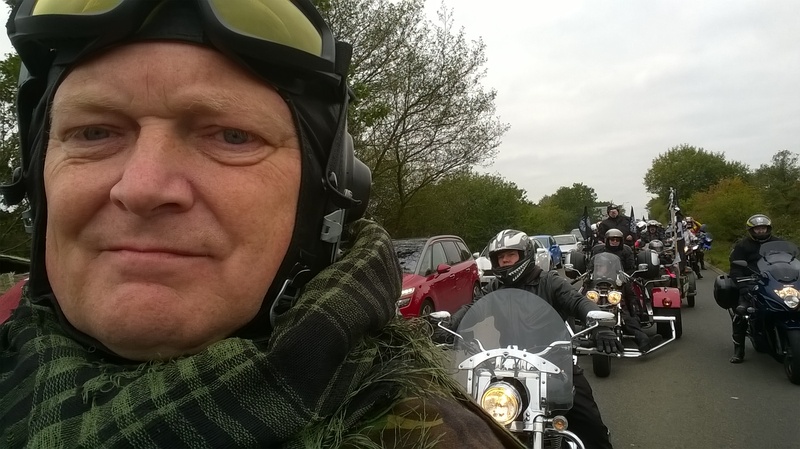 We then all headed back to the various bike parking locations around the Arboretum and were back on the road for around 15:30 hrs. 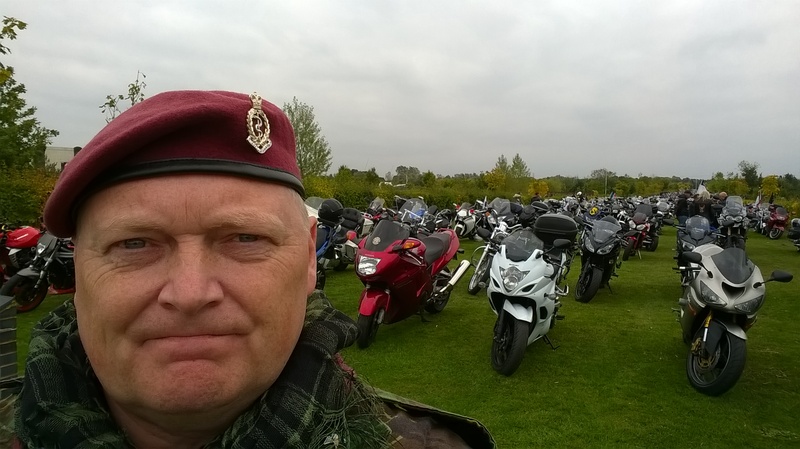 A fantastic day of remembrance with a very good bunch of bikers, many of which were either former servicemen and women, or still serving. A big thanks to Dave Ross for allowing me to take part in this event. One that we will both never forget. With thanks to Phil Hannah, top row, centre.